The Florida House is moving forward with a big healthcare agenda at the direction of Speaker Jose Oliva. But that agenda clashes with healthcare providers who say it could lead to worse, not better care. Tallahassee's Capital Regional hospital (undated). House Speaker Jose Oliva likens healthcare in Florida to a “five alarm fire” and he's pinned his sights on eliminating state rules regarding where and when facilities like hospitals and nursing homes can be built. “We must look at areas where government has gotten in the way. We must engage the consumer so that market forces can apply. And we must embrace new technologies," Oliva said during his opening day remarks to lawmakers on the first day of the 2019 legislative session. The legislature has whittled away at Certificate of Need for years now, and is poised to do away with it all together. Fitzenhagen argues repeal would pave the way for the market to determine need, and would allow for more transparency when it comes to pricing and better patient care. The research on that goes both ways. the Mercatus Center at George Mason University found certificate of need laws don’t increase access to health care for the poor, but they can limit the supply of such services. 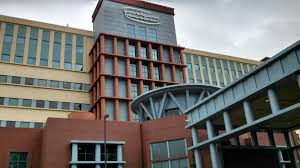 But research from the Florida State University College of Medicine found eliminating the rules could worsen the state’s shortage of doctors and nurses. There could be more beds, but not enough people to work them. Florida Hospital Association lobbyist David Ashburn with Greenberg Traurig adds removing those rules won’t address litigation costs—which critics have said is a problem that arises when hospitals sue each other for the right to open facilities in certain areas. The Florida Healthcare Association represents nursing homes. It's chief lobbyist, Bob Asztalos says, reating nursing and hospice centers in places they aren’t needed results in an overall drop in occupancy which could end up costing the state more money than it would save. "I think almost everyone wants to be exempted from this bill," Oliva said in response to the FHCA's request for exemption. Previous attempts to eliminate certificate of need have given nursing homes a carve-out. But a complete repeal of certificate of need has historically failed to gain traction in the Senate. As health care continues to take up a growing slice of the state’s budget, House Speaker Jose Oliva has set his eyes on market reform. Nursing Homes and Hospice centers scored a key victory Thursday. A House Health Committee has approved a bill that would remove regulations on where certain healthcare facilities, excluding nursing and hospice, can be built. Florida lawmakers are starting to put the pieces of the state’s healthcare puzzle together and the picture could involve changes for hospitals, nursing homes, hospice centers and other long-term care facilities. Florida lawmakers are bracing for budget holes despite figures showing the state could end up with another year of surplus. Alternative healthcare proposals making their way through the Florida legislature as lawmakers look for ways to cut health costs without accepting billions in federal dollars to expand Medicaid.